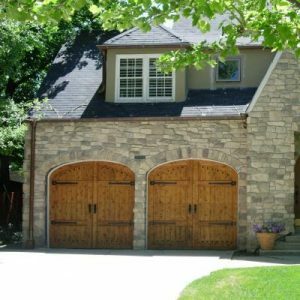 Many homebuyers consider a home without a garage a deal-breaker; particularly those located in cold or warm weather. Many people do not want to get into a hot car in the summer, or shovel snow off the windshield during the winter. Many older or smaller homes do not have a garage, while other homes may boast a covered carport with a roof, but not a garage. Many sellers wonder if they should build a garage to compete with the surrounding homes that do have one; or, to give their home an advantage over the other homes for sale that also lack a garage. There is no certain answer to this question, as many factors go into the price of a homes overall value. A garage can certainly increase the value of a property if it’s in a mid-level or higher price range and in a cold climate. Moreover, if a home doesn’t have one, it may prove a deal breaker. A garage is very important in todays market. Many buyers who consider a missing garage will still purchase the house, so long as long as there is room to add it. The garage does not necessarily need to look like it could be in a magazine. The important thing is that it is clean, and roomy. An electric door opener is extremely important, as many homebuyers do not want to get in and out of the car to pull in. If you plan to build a garage before selling, try to add the garage on the side of your home if you can, rather than designing it to face the street. If possible, make the garage a little wider so that homebuyers will have room for the other typical storage items, such as bikes and home improvement tools. While it may be more expensive, it is not a bad idea to add outlets, air ducts, and a roof structure so that the garage can become a room if needed. If you have the means, it is important to match the garage with the homes exterior; you want it to look like the garage is part of the home. Depending on the materials on the exterior of the house, this may be expensive. For example, slate, brick, and stone can really drive up the price, while asphalt and basic framing will be very cheap. Don’t forget to consider how much time it will take to construct the garage. Building on generally requires adherence to zoning ordinances as to how large it can be. It takes a certain amount of time to get approval. I mean…I don’t have a garage, and I don’t really see it as a deal breaker. Great! Lots of buyers and homeowners don’t consider it a deal breaker. It is very much personal preference.